Nintendo’s new Wii U console went on sale in the US at midnight last night, with a huge turnout of desperate gamers dying to get their hands on Nintendo’s new gaming console. Nintendo World store in New York City was bombing with people late at night, as the launch timer went down to midnight. Customers who had pre-ordered their consoles from places like GameStop were disappointed to find out their stores would remain closed until early morning. Whether it was Nintendo’s plan to ship a rather poor amount of consoles or there was a huge demand for them we are unsure, but the morning after many shops were apparently all sold out of Wii U consoles. Early reviews of the Wii U console show promise in the Gamepad, but find there are some problems. 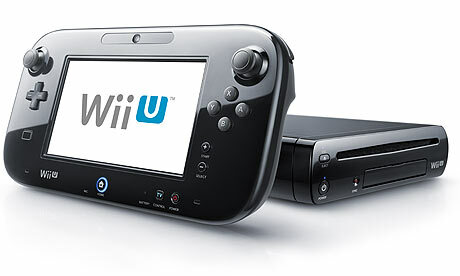 The Wii U doesn’t have good compatibility between the TV and Gamepad, with many reviewers saying they were confused about when to look at the TV and when to look at the Gamepad. The original Wii console suffered from poor content development from mainstream gaming publishers, like Activision and Ubisoft and couldn’t create a satisfactory entertainment store that Xbox have been able to. Nintendo has been working on building more entertainment and off-gaming content for the Nintendo Store, although some apps may not ship when the Wii U does today. Starting at $299 for the normal pack and $349 for the deluxe pack, it seems to be a competitive price against the Xbox 360 and PS3. Already Amazon and eBay are seeing huge price jumps, in line with the high demand and no stock left. Some customers are trying to sell there’s at $100-250 profit, before Nintendo stock more units. For UK, Europe and Australian gamers, you will have to wait until November 30 for the gaming console to arrive.